The ancient university toon o St Andraes aiblins isnae thocht o as a centre o Scots language the day. Durin the reign o King James VI an I, hooiver, Scots was the language o government an law, literature an officialdom, forby the iverday leid o kings an scholars, courtiers an commoners alike – includin in St Andraes. 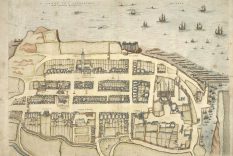 This is weel illustratit in a letter – datin fae 1611 – fae the high-heid yins at the University o St Andraes tae King James, fur tae thank him fur his let-on intention tae provide siller fur the biggin o a new library. 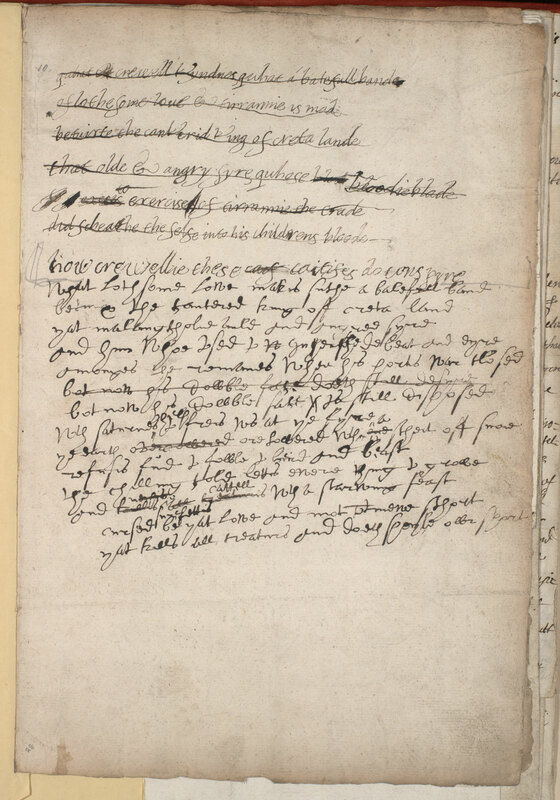 The letter exemplifies a wheen o kenspeckle Middle Scots merkers, sic as ‘quh’ (equivalent tae modren ‘wh’) in wirds sic as ‘quhairby’, ‘fumquhat’ an ‘quho’; the past tense inflection ‘-it’, as in ‘informit’; plurals in ‘-is’ sic as in ‘buikis’; the spellin convention ‘thair’, as in, fur example, ‘thairof’ an ‘thairto’; an the voiceless velar fricative as in ‘nocht’, ‘throche’ an ‘Almichtie’. Forby we see a hantle o Scots wirds that are aye kenable in modren Scots the day, fur example, ‘kirk’, ‘commoune-veil’ an the wird ‘ane’, which aye functions as the numeral 1 as weel as the indefinite airticle. The mither o James, Mary Queen o Scots, had scrievit a will bequeathin her Greek an Latin buiks tae the university fur the foondin o a library. This is likely tae hae been ahint King James’s decision tae fund the biggin o sic in St Andraes. Though the letter referrin tae the library dates fae 1611, financial trauchles meant that it wisnae completit afore 1643. Biggit on the site o the earlier medieval College o St John (whaur teachin had begun at the university in the 1400s), the biggin visible the day dates fae the 1600s, though pairts o the earlier biggin were incorporatit intae the new structure. The King James Library the day is a dedicatit Divinity library an aye a braw place o study in the university toon. James VI o Scotland (1567-1625) an I o England (1603-1625) was the lest Scots-speikin an scrievin monarch o Scotland. 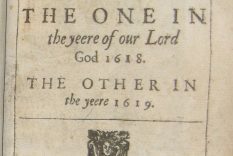 It’s weel-kent that the Reformation, in particular the dominance o English leid bibles, sparkit the douncome o Scots as a prestige an institutional leid. 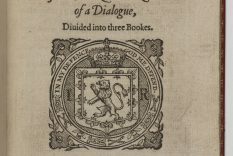 The flittin o king and court tae Lunnon in the Union o the Croons in 1603, whan James VI o Scotland becam James I o England forby, was anely tae exacerbate thon further. Afore then, hooiver, as King James VI o Scotland (36 o the 58 year o his reign), James ruled ower a kintra whaur Scots was the language o government an law, literature an officialdom, as weel as the iverday leid o kings an scholars, courtiers an commoners alike. Forby, James was a prolific scriever, owersetter an intellectual. A self-styled ‘philosopher-king’, he is soondly threapit as ane o the maist scholarly monarchs in history an siccarly the maist furthset British ruler. 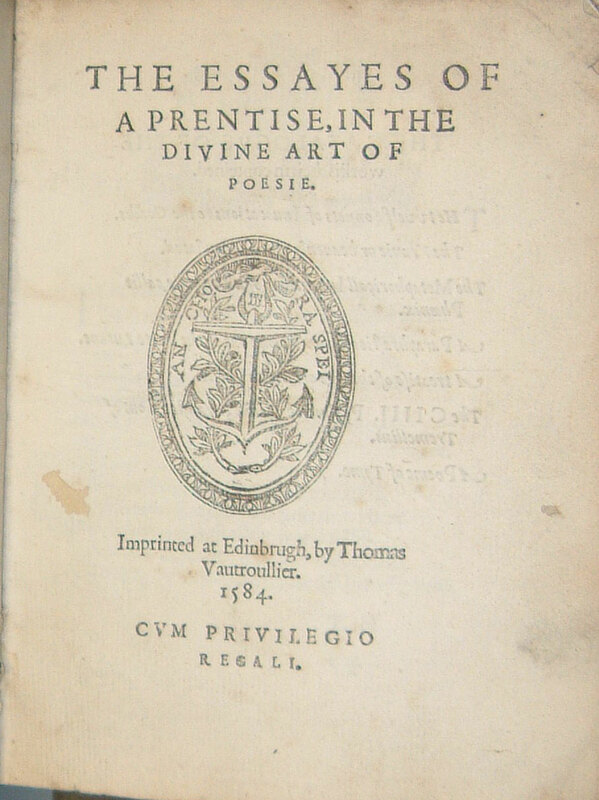 Throughoot his life, James scrievit a muckle range an volume o wark, includin in Scots, fae political an religious scrievins, tae poetry an owersettins, an treatises on themes as sindry as tobacco an witchcraft. 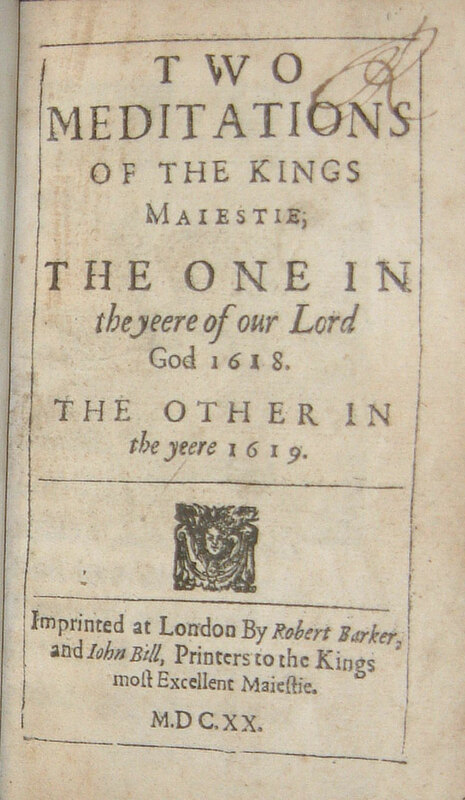 He wis forby the patron o monie mensefu scrievers, includin Shakespeare, an is, o coorse, aiblins best-kent as the patron o the noo warld famous ‘Authorised’ or King James Bible. A hale buik or PhD could nae doot be scrievit anent King James VI an I an his shiftin yaise o Scots an English, but it’s clear fae the abuin that complex political an personal factors were at pley in the linguistic choices o the lest Scots-speikin an scrievin monarch o Scotland. Throughoot the letter, we see monie exemples o the kenspeckle Middle Scots merkers referred tae abuin, fae the ‘quh’ in wirds sic as ‘quhairby’ tae the ‘-is’ plural. The ancient university town of St Andrews perhaps isn’t thought of as a centre of Scots language today. 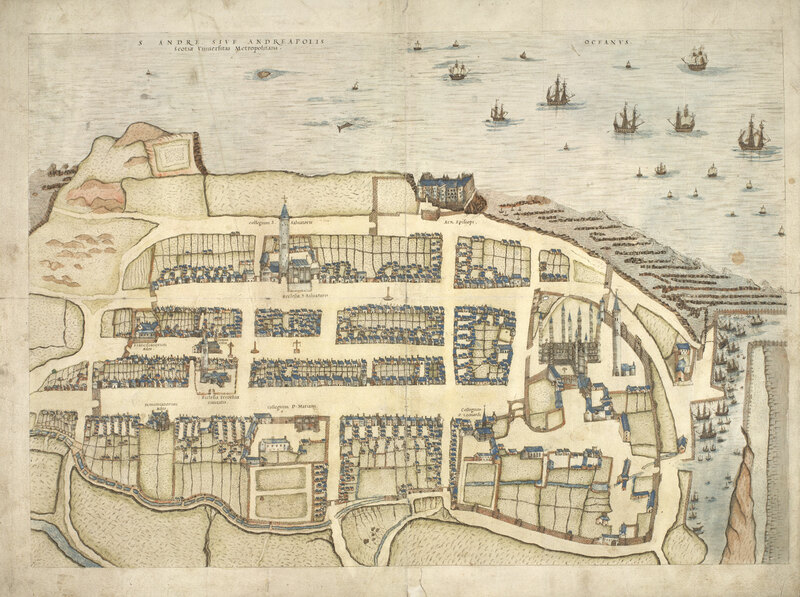 During the reign of King James VI and I, however, Scots was the language of government and law, literature and officialdom, as well as the everyday language of kings and scholars, courtiers and commoners alike – including in St Andrews. 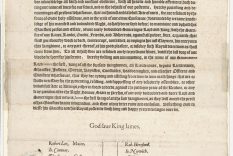 This is well-illustrated in a letter – dating from 1611 – from the university authorities to King James to thank him for his indicated intention to provide money for the building of a new library. 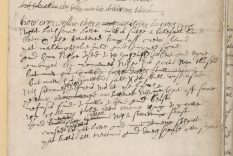 The letter exemplifies a whole host of definitive Middle Scots markers, such as ‘quh’ (equivalent to modern ‘wh’) in words such as ‘quhairby’, ‘fumquhat’ and ‘quho’; the past tense inflection ‘-it’, as in ‘informit’; plurals in ‘-is’ such as in ‘buikis’; the spelling convention ‘thair’, as in, for example, ‘thairof’ and ‘thairto’; and the voiceless velar fricative as in ‘nocht’, ‘throche’ and ‘Almichtie’. In addition, we see a range of Scots words that are still recognisable in modern Scots today, for example, ‘kirk’, ‘commoune-veil’ and the word ‘ane’, which still functions as the numeral 1 as well as the indefinite article. 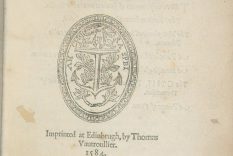 The mother of James, Mary Queen of Scots, had written a will bequeathing her Greek and Latin books to the university for the foundation of a library. It is likely that this lay behind King James’s decision to fund the building of such in St Andrews. Although the letter referring to the library dates from 1611, financial difficulties meant that it was not completed before 1643. Built on the site of the earlier medieval College of St John (where teaching had begun at the university in the 1400s), the building visible today dates from the 1600s, though parts of the earlier building were incorporated into the new structure. Today, the King James Library is a dedicated Divinity library and remains a cherished place of study in the university town. James VI of Scotland (1567-1625) and I of England (1603-1625) was the last monarch of Scotland who spoke and wrote in Scots. It is widely acknowledged that the Reformation, in particular the dominance of English language bibles, sparked the demise of Scots as a prestige and institutional language. The removal of king and court to London following the Union of Crowns in 1603, when James became king of England as well as of Scotland, was only to exacerbate the situation further. Before then, however, as King James VI of Scotland (36 of the 58 years of his reign), James ruled over a country where Scots was the language of government and law, literature and officialdom as well as the everyday language of kings and scholars, courtiers and commoners alike. Significantly, James was himself a prolific writer, translator and intellectual. A self-styled ‘philosopher king’, he is justifiably claimed as one of the most scholarly monarchs in history and was certainly the most-published British ruler. 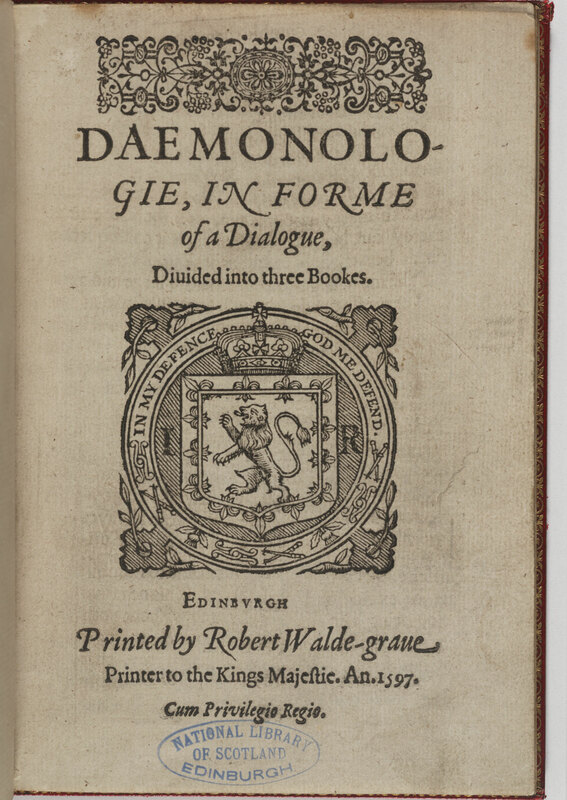 Throughout his life, James produced a wide range and high volume of work, including in Scots, from political and religious writings, poetry and translations, to treatises on themes as diverse as tobacco and witchcraft. In addition, he was the patron of many significant writers, including Shakespeare, and he is, of course, perhaps best known for his patronage of the now world famous ‘Authorised’ or King James Bible. Fast forward to 1603, however – when James had inherited the crown of England following the death of Queen Elizabeth without an heir – and he now appears content to play down any differences between Scots and English in order to further his political aspirations of uniting the two kingdoms that he headed (indeed, James was the first monarch to style himself as King of Great Britain, although he never succeeded in his aim of full political union). A whole book or PhD could doubtless be written about King James VI and I and his shifting usage of Scots and English. However, it is clear from the above that complex political and personal factors were at play in the linguistic choices of the last Scots-speaking and writing monarch of Scotland. Throughout the letter, we see many examples of the definitive Middle Scots markers referred to above, from the ‘quh’ in words such as ‘quhairby’ to the ‘-is’ plural.